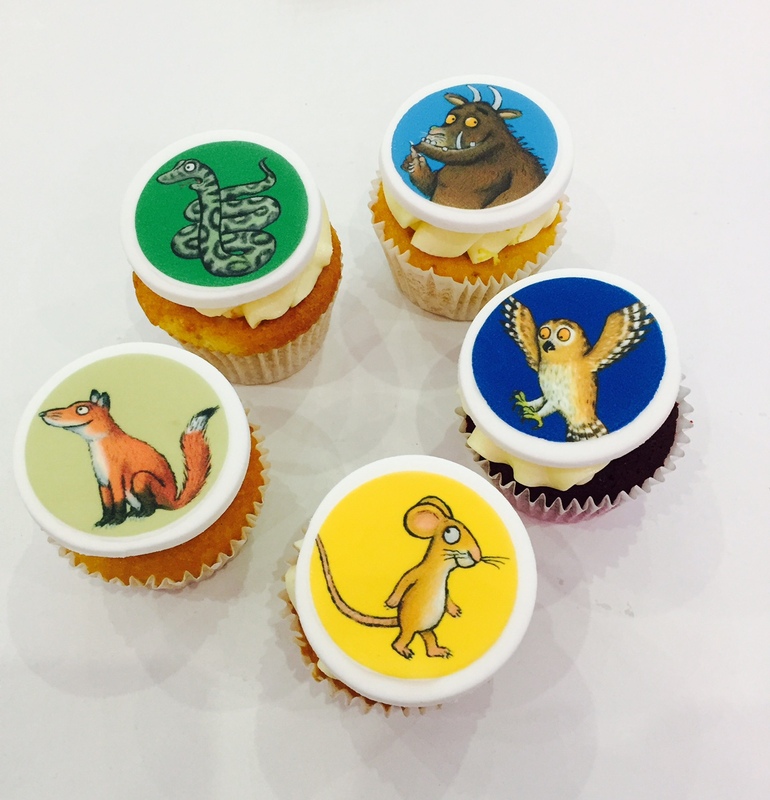 We were invited to display a dessert table at the Cake and Bake Show in Earls Court so we decided we’d go all out and do something spectacular. Instead of the usual run of the mill dessert table, we opted for a totally edible Alice in Wonderland extravaganza. 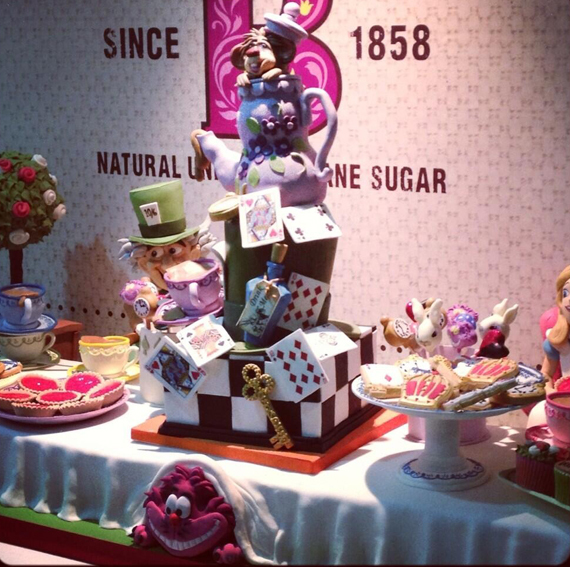 The construction took 2 weeks and we worked long hours to create every part of the table from cake and sugar from the Mad Hatter and Alice characters sitting at the table, the cupcakes and cookies to the actual plates, cups and saucers! The table itself was a 5 ft by 2.5ft chocolate fudge cake compete with the Cheshire cat sculpted from sugar peeking out from underneath. We designed the table to show all the elements that are found on a dessert table from cakes to cake pops, to cupcakes and cookies with the added twist that the table itself was edible. Get in touch if you have an idea for a dessert table theme. It was so fun to make we want to do more!